Which car do you most regret selling? I remember looking through a Bristol owners newsletter on Boxing Day a long time ago. 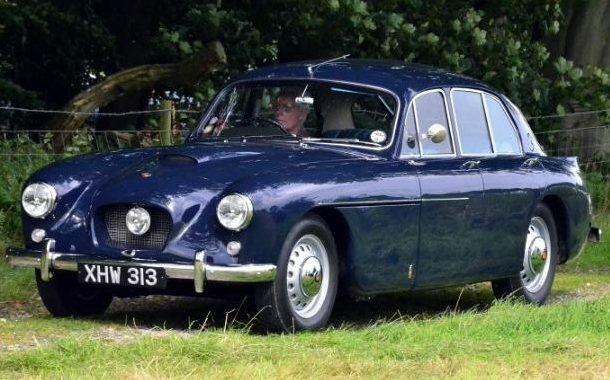 I spotted this beautiful 1956 Bristol 405 on sale for two grand. I sent a mate who knew about cars around to see it and when he arrived at the house, the owner was a gentleman in his eighties who was going to Greece to live with his son. He’d had the 405 for many years and he had the central heating on in his garage to keep it warm! I ended up buying it and he cried as it left. I got a lot of use out of it around London for a while but it started to get some wear and tear and so I sent it away to have it fully restored. I’ve been keeping it safe with the rest of my archive in Nottingham ever since. Occasionally one of my guys who works in my office there drives it around to make sure it’s still running. So I haven’t sold it as such, it’s just gone on an extended holiday and I miss it so.